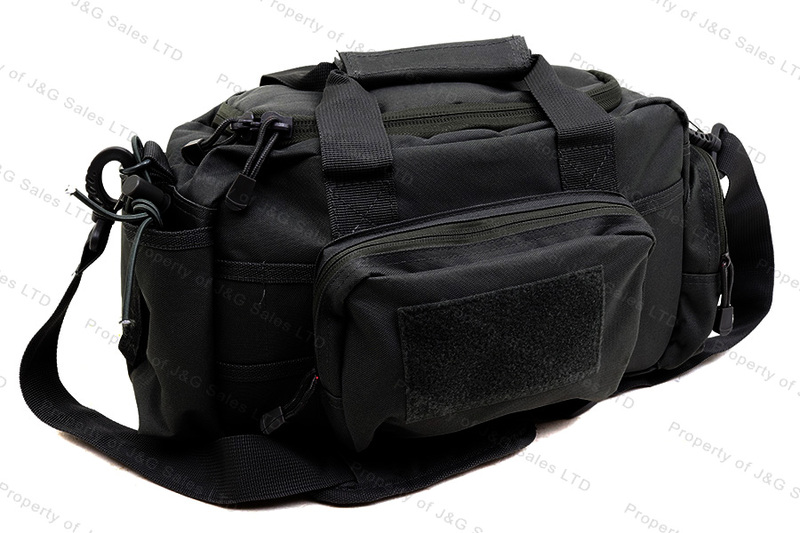 VISM Rangebag, Black Padded, Multiple Pockets, Medium. 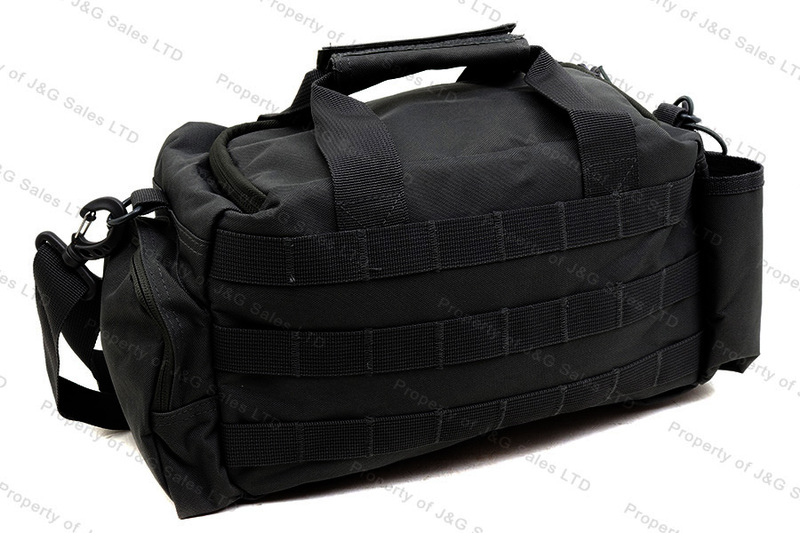 VISM Medium Rangebag in black, # CVSRB2985B. 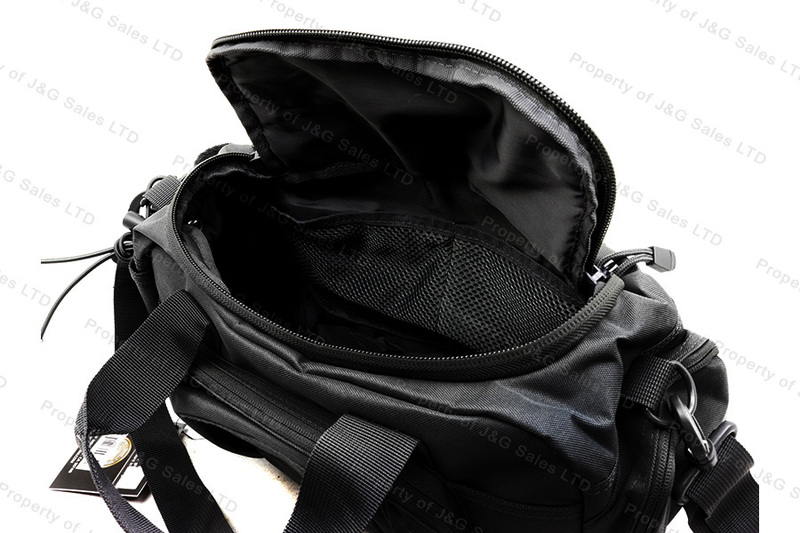 Features open main compartment, exterior zippered pouch on side and one end, water bottle pouch on other end, Molle webbing on side, and shoulder strap. Outside dimensions are 12" x 5" x 7".